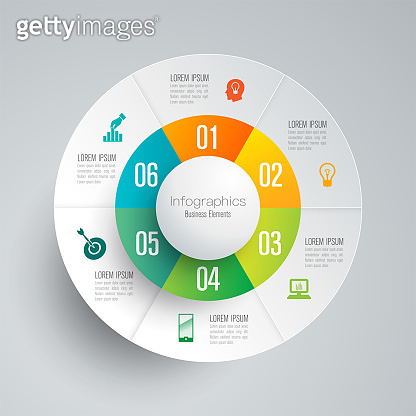 Infographics design vector and business icons with 6 options. Vector illustration was made in eps 10 with gradients and transparency. Can be used for workflow layout, diagram, number options, web design.